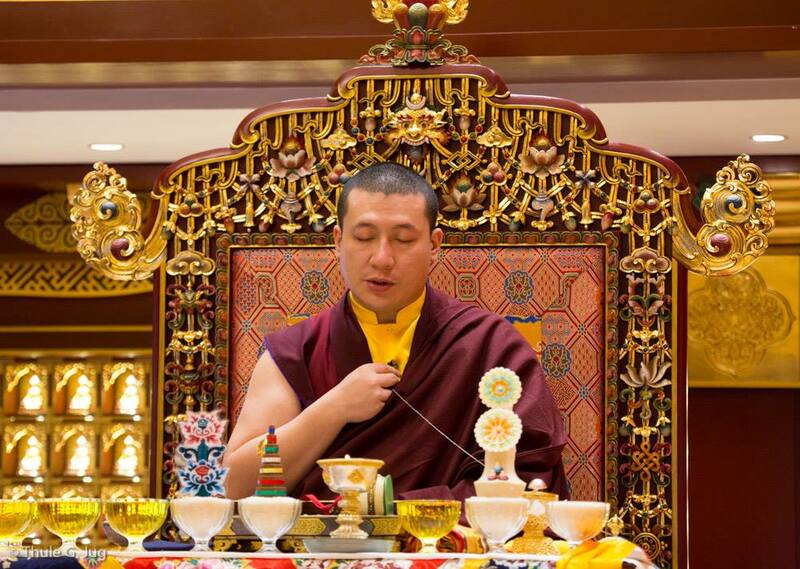 If we look at the past lineage masters of our Kagyu tradition, starting from the very founders of our lineage, we can see that they have become those great masters simply because of their effort, through sheer hard work and great effort. And so this is one trait that we as their descendants, one could say, must try to develop and put in hard work where it is needed, where it is truly needed. If we do that, then there is an opportunity where the realisation of Bodhicitta can actually happen. From then on, the journey becomes far smoother, far easier than we can imagine. Awareness is very, very important. Without awareness, eventually we will open the doors to ignorance. Ignorance brings with it unnecessary or unhelpful tools in the attempt to solve our problems: attachment and anger. It is important to guard against these phenomena, so that’s why awareness is so important. Very simply, we must develop awareness by examining what is healthy – just like examining a good diet or fitness routine for our physical body. Just like that, we have to ask ourselves what is healthy for our mind. Then, by using the knowledge that is shared by all of the Buddhas and bodhisattvas, we can find out more and more about what is healthy for our mind. And then, gradually, by applying the knowledge according to our capacity, we become healthier and healthier, fitter and fitter, stronger and stronger, and more flexible – and then we can overcome all difficulties.